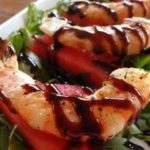 Steamed shrimp with balsamic glaze: This recipe for steamed shrimp with balsamic glaze is perfect for your next antipasto. 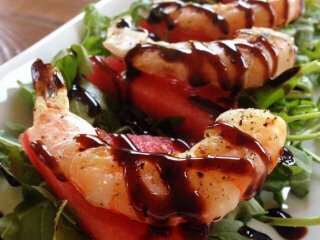 The sweetness of the balsamic glaze is a perfect pairing for shrimp. 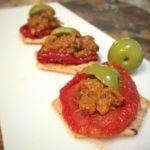 You can also grill your shrimp or use crawfish. 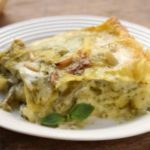 In fact, any shellfish will work for this simple recipe. Marinate the shrimp in the lemon juice, salt and pepper for 10 minutes. with the lemon juice, pink pepper, salt, pepper and wild cicely for ten minutes. Layer the shrimp in a colander in one layer and without it touching the water, steam over lidded saucepan of boiling water for a couple of minutes until the shrimp are opaque and pink. Lay the shrimp over a serving dish and drizzle with the prepared glaze.